Submitted by Kerry and Niels on Sun, 2015-10-04 11:32. 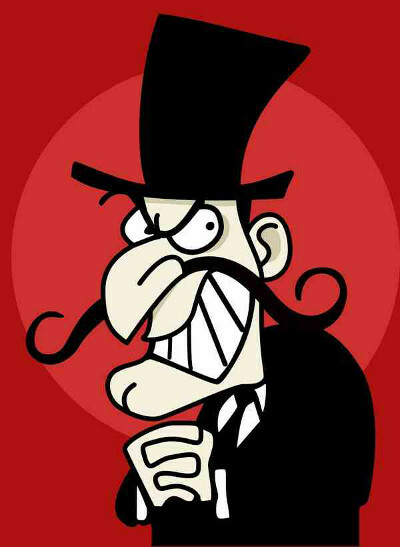 With such an impressive line-up of villains, comes a daunting task to come up with an equally deserving candidate for 2015. We invite our readers to nominate and decide who eventually has the dubious honor of actually receiving PPL's 2015 Demons of Adoption Award. You, our reader, can make your voice heard. Who should receive the most critical recognition in Adoptionland? Until November 1 the nomination process will be open. After that date PPL will post a poll where readers may vote for the nominees. The link for nominations may be found at: http://poundpuplegacy.org/nineth_demons_of_adoption_nominations. Please make your nomination by adding a comment. Submitted by Kerry and Niels on Tue, 2014-11-11 18:32.
recipient of the Demons of Adoption Award. Today we announce this year's recipient. We started the Demons of Adoption Awards, back in 2007, as a parody of the Congressional Angel in Adoption Award , annually awarded by the Congressional Coalition on Adoption Institute (CCAI). Although humorous in form, it was serious in intent. At the time, little attention was given to serious issues like abuse in adoptive families, child trafficking, coerced relinquishment and re-homing., while at the same time, Members of Congress were busy praising adoption attorney's and executive directors of adoption agencies, by honoring them a Congressional award. Something was very wrong with this picture. Abuse in adoptive families and re-homing often are the result of bad screening practices and insufficient preparation of prospective adopters, if not the result of withholding information about the conditions of the child, important to make a proper decision whether to go forward with an adoption. Coerced relinquishment often is the result of having no well-defined protocols to guide the adoption process. Child trafficking is often the result of working with unreliable partners in sending countries and the profit motif that can easily become the driving factor behind the adoption process. Members of Congress should worry about these issues and provide regulation that curtail what is wrong in Adoptionland. Unfortunately they much rather look the other way and sail on the feel-good sentiments that surround adoption. The Angels in Adoption Award gala is mostly an adoption agency's love fest, organized with congressional allure It openly shows the intimate embrace of special interest groups and federal government, more so than in any other field of business. Congress is often said to be ruled by special interests, but nowhere is the intimate embrace of politics and business so blatant as in the field of adoption. There are no congressional awards for members of the petrochemical or financial industry, nor is there a defense contractor of the year award. When it comes to these branches of business, members of congress at least presume to maintain a certain distance. Adoption is an entirely different matter. Members of Congress don't view it as a business, after all, as defined by law, no children are being sold. And even if viewed as a business, it dwarfs in comparison to Wall Street, the oil industry, insurance, and the pharmaceutical industry. For members of congress the political value of adoption is not economical, but sentimental. Members of congress like to present themselves in favor of adoption, because it superficially shows a virtuous side, something as much needed to get elected as having well filled campaign coffers. For members of the adoption industry, adoption certainly has economic value. Their livelihood depends on it. Of course the industry likes to present itself as virtuous and charitable, but at the end of the day salaries need to be paid and the cost of doing business needs to be recouped. The Angels of Adoption Awards shamelessly shows the exchange of sentimental political capital for the economic and religious interests of the adoption industry. Members of Congress get the opportunity to demonstrate their virtuous side, and the industry gets Congress's seal of approval,and minimal federal oversight. This cynical trade of feel good sentiments for economic and religious interests made us start the Demons of Adoption Awards, seven years ago. As a parody of the Angels of Adoption Awards it only highlights the worst. Just like no agency or attorney is as angelical as Members of Congress want us to believe, neither are the demons of adoption exceptionally evil. For every nominee there are several others equally guilty of unethical practices. The Demons of Adoption Awards shine a light on the darkest corners of Adoptionland, but they don't tell us much about the overall darkness of the adoption industry. Business methods, used by the worst agencies of our time, are the same as those used by "demons of adoption" a century ago. Coerced relinquishment, fraudulent paperwork, the use of jurisdictional mazes, illegal payments, all of that is not a recent invention; it has been part and parcel of the adoption business since its inception. This year's recipient of the Demons of Adoption Award is a good example of being among the worst in an industry that thrives on bad practices. As a result, the child was officially in custody of Adoption by Gentle Care, which was ordered to show the child to his father on February 8, 2010. The agency failed to comply with the court order and through it's executive director John Cameron was held in contempt on July 2, 2010. Adoption by Gentle Care quickly dismissed executive director John Cameron, who was replaced by Trina Saunders. This change of leadership however didn't change the way Adoption by Gentle Care operated. In March 2014, Adoption by Gentle Care was involved in the placement of Camden, the son of Carri Stearns. Carri Stearns found herself in a crisis situation after getting pregnant as the result of a one-night-stand. Her partner wasn't exactly pleased and told her to choose between the baby and their life together. Carri Stearns contacted Adoption by Gentle Care days before she was due, to discuss the placement of the child. Adoption by Gentle Care was very eager to assist in the placement and their counseling was geared to only one option, to make sure the child was being placed for adoption. In the process Adoption by Gentle Care ignored all red flags. The mother was financially capable of raising the child, she herself wanted the child, and she had proven to be a good mother for her other children. When the issue of paternity came up, the agency coached Carri Stearns to list the father as "unknown" on the birth certificate, even though the father was known. Apparently the fear of the child going into foster care was enough for Carri Stearns to lie, something Adoption by Gentle Care apparently found entirely acceptable. Three days after the initial intake and only counseling session, Carri gave birth to her son Camden by means of a c-section. Four days later, she signed off on the adoption. During the relinquishment she had to testify that she was of "sound mind and body". In such testimony one must state that they are not under any mind altering substances and are making this decision of their own free will, independently of any coercion of duress. At the time Carri was still under doctor’s prescription for Vicodin and Dilaudid, but was advised by Adoption by Gentle care worker to say "no" to the question whether she was using any medication. Adoption by Gentle Care, with this case proved to be anything but gentle, and it seems all they cared about is the quick placement of children. They didn't seem to care about proper procedures, proper counseling and it wasn't even beyond them to instruct someone to lie. We believe our readers made an excellent choice by declaring Adoption by Gentle Care this year's Demon of Adoption, and with sadness realize next year we will most likely have another recipient just as deserving. For seventeen years, in America, November has been earmarked as National Adoption Awareness Month. Its origins can be found in an initiative by Gov. Dukakis of Massachusetts in 1976. His adoption awareness week was promoted to the national level by President Reagan, and with President Clinton's approval, the entire month of November became the official month to honor and promote the merits of adoption, and bring more public awareness to otherwise little known facts and figures related to adoption laws, practices, and adopted people. Submitted by Kerry and Niels on Wed, 2012-09-12 12:08. Until September 30 you, the reader, can nominate candidates for the sixth annual Demons of Adoption Award. After that date, PPL will post a poll where readers may vote for the nominees. Submitted by Kerry and Niels on Thu, 2010-09-02 20:44. Two days ago we started the nominations for the Annual Demons of Adoption Awards for the fourth time in succession. As much as we like that we do this every year, and how much we love to point out the "bad guys" in adoption, it's also important to realize that the adoption system itself is most evil of all and that pointing out a few "bad guys" is not going to solve the ethical problems related to adoption. The Demons of Adoption awards started four years ago in response to the congressional Angels in Adoption, annually awarded by the Congressional Coalition on Adoption Institute (CCAI). What is presented as a means to promote the adoption of children, in fact is an adoption industry love fest. Among the recipients of the award, we do not just find families that opened their doors for children from foster care, but also couples whose only "merit" is that they adopted through Bethany Christian Services of Virginia. Many of the other recipients are insiders in the adoption industry. Among the recipients are many adoption lawyers, whose "merit" only exist in the fact that they make a living preparing the paperwork for an adoption. Submitted by Kerry and Niels on Tue, 2010-08-31 14:51. In 2007 Pound Pup Legacy instituted the annual Demons of Adoption Award to raise a voice against adoption propaganda and the self congratulatory practices of the Congressional Coalition on Adoption Institute's annual Angels in Adoption Awards TM. Until September 30 you can nominate candidates for the fourth annual Demons of Adoption Award, after which we will put up a poll to vote for the nominees. Please add a comment to this post with your nominee and a short explanation why this candidate has the dubious honor of winning the award. You can also email your nomination to this address. Submitted by Kerry and Niels on Sun, 2008-11-09 18:32. Sunday, November 9, the winner of the second Annual Demons of Adoption Awards was announced. Out of a list of 10 nominees the members and visitors of Pound Pup Legacy have chosen the makers of Juno to be the winner. The annual Demons of Adoptions was created to to raise a voice against adoption propaganda and the self congratulatory practices of the Congressional Coalition on Adoption Institute's annual Angels in Adoption AwardsTM. Last year the National Council for Adoption had the "honor" of winning that awards for "pushing the adoption agenda in pregnancy consultation". This year Juno joined the illustrious ranks for "helping to groom and brainwash a whole new generation of girls and young women to be walking incubators for the the adoption industry". Winning the award, the makers of Juno will have the unique right to show the Demons of Adoption 2008 banner on their website. We would like to thank all our members and visitors for voting. The results of the poll can be found here.